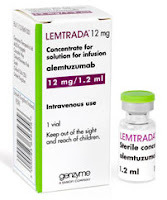 I'm no doubt "jumping the gun" a little, but as I did with my Teriflunomide (Aubagio) drug trial posts, I'll start blogging my Lemtrada infusion experiences and the whole lead up to the actual infusion. The discussions I had with my Neurologist and the lovely Belinda, one of the great nurses in the Austin Hospital NCRESS team were quite informative and of course I had heaps of questions as well, as I always do. 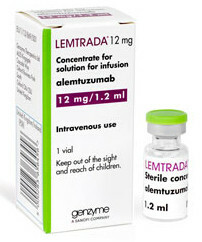 Lemtrada (alemtuzumab) is a newish drug used for the treatment of Relapsing Remitting Multiple Sclerosis (RRMS), like most drugs these days it's also used for other disease treatments. 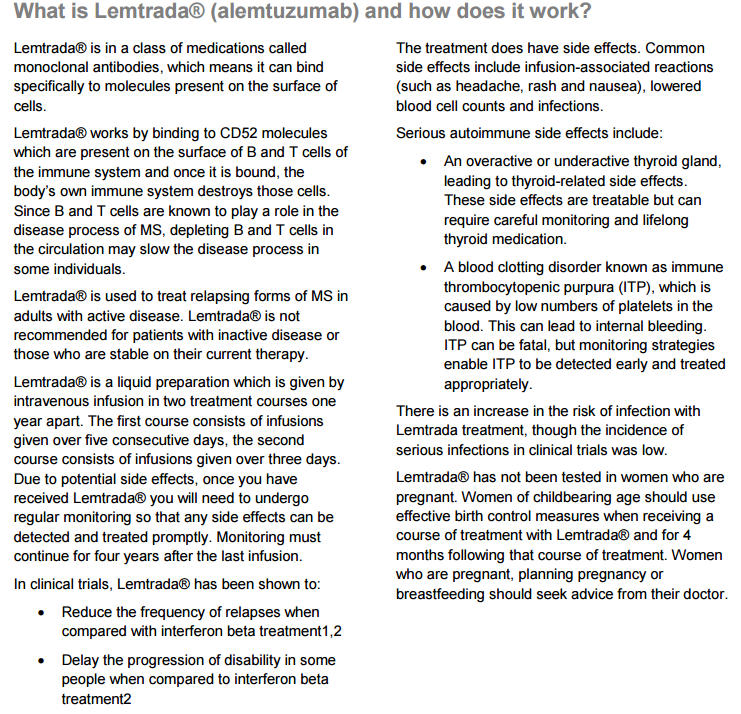 I'll start with a bit of information about Lemtrada first off. "By following up these patients over time, the authors reported that 60% of patients receiving Lemtrada showed an overall stabilisation of their illness following treatment. This included 49% of patients who showed overall reductions in disability levels compared to their baseline level. An additional 10% of patients had their illness stabilised and showed no further change in disability levels after treatment. In general, higher relapse rates at the beginning of the study were associated with poorer long-term disability outcomes." When you read about the side effects of Lemtrada on face value you might think "no way would I agree to have this drug administered to me" but I'm the youngest in my family, I am single and live alone, so I really need to think about the future if my MS progresses, I don't have any family close by and as I don't live with anyone else, it's best I give myself the best chance at independence for as long as I can, something I've already somewhat lost to Multiple Sclerosis, I can still walk albeit with a slight limp, I can still look after myself, I don't want that to change in the future, so I'm going to take the risk...and it is indeed a risk, but eh, so is crossing the road. Ninety nine percent of the MS medications have a possibility of some nasty side effects lol, so I'm happy to see how Lemtrada performs for me! There will be drugs that you have to take as well on top of the actual infusion drug, which I'll add later, because well I'm not exactly sure what they are right now lol. I have to watch what I eat, I need to be careful of contracting Listeria, damn I'm going to have to wash my hands more regularly lol,..there are quite a few things I will need to be careful with, they gave me quite a bit of literature on Lemtrada and the side effects and what you need to be careful with.